Wayne Rooney, the Manchester United and England captain, is a highly rated man. He’s a very influential player with loads of experience. Wayne’s a player who is known for his energetic and creative style of play. He always has a sense of urgency; knowing where to play the ball and when to up the tempo. Rooney currently sits in second place in the all-time top scorers of the Premier League with a total of 192 goals scored during his career, 68 goals behind Alan Shearer. So it might be a surprise for you to hear that Wayne has never won the Premier League Golden Boot; an award given to the leading goal scorer in a single Premier League season. He was 3 goals shy of the top position in the 2009/10 season, after he scored 26 goals to finish behind Didier Drogba – who scored 29. Wayne was also 3 goals behind the top position in the 2011/12 season when top scorer, Robin Van Persie, hit the net 30 times. Wayne Rooney is undoubtedly a versatile and prolific attacker who is going to go down in the history books as one of the greatest ever. He is capable of playing on the wings, as a striker, and his primary role – supporting forward. Wayne has also been deployed in several deeper roles in midfield, even as a box-to-box player. The Englishman can strike a ball with high levels of accuracy. In the 2010/11 Premier League season, Rooney scored a sensational goal in the Manchester Derby with a stunning overhead kick that sunk City and stunned Old Trafford. He is certainly an impressive show and will be hard to replace once he’s retired. In the 22 years that the Premier League has existed, the average number of goals scored to win the Golden Boot has been 22. But times have changed, and football is more competitive than ever. So far, Rooney has scored 7 goals this season (2015/16), not a convincing tally from the Englishman. So, how has a prolific footballer such as Wayne not won the Golden Boot by now? Let’s have a look at the various reasons which may have stopped him from outscoring everyone else. The stats show that he has missed just over 5 month of Premier League football. Quite a bit – considering that a player is never 100% fit straight after an injury. His several injuries have also affected his pace and agility over the years, therefore hindering him from reaching his full potential. Another reason for Wayne Rooney’s lack of a Golden Boot could be down to his shear versatility – the ability to play on the wings, in strike, and in midfield means Rooney is often used as the go-to player when a player of such positions is injured. Rooney has also been used in all sorts of experimental formations. During David Moyes’ reign at United in the 2013/14 Premier League season, he deployed Wayne in deep midfield as a box-to-box midfielder; which hindered his goal scoring opportunities and forced him to focus more on defending and creating opportunities. He still performed incredibly well playing deep in midfield, and managers would not be afraid of putting him in such positions again. Although, it can also be argued that Rooney’s favored position is the role just behind the striker; a number 10 position. Meaning he doesn’t focus on scoring goals, but more on assisting the main striker – as he did magnificently in the 2007/08 Premier League season with Cristiano Ronaldo. His combination with Ronaldo was sublime. Rooney’s ability of getting the ball to where he wants complimented well with Ronaldo’s pace and strength, helping the Portuguese win the Golden Boot that season after netting 31 times. Zlatan Ibrahimović even claimed that “Ronaldo took all the credit for Rooney’s work,” telling us how efficiently Rooney works in his preferred position – behind the striker. 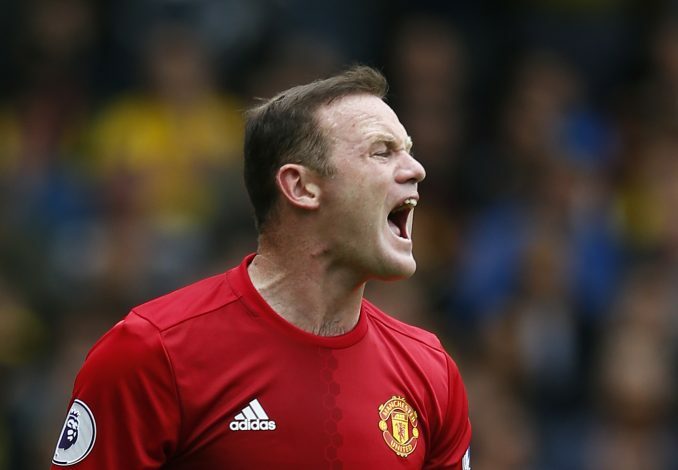 Even though Rooney does prefer the number 10 role, he is still the second all-time top goal scorer for Manchester United, proving that for a player such as Wayne – with his clinical finishing – it doesn’t make a huge difference whether he plays in midfield or as a striker. So, we leave it to you. Do you think Wayne Rooney has what it takes to be the top scorer of a Premier League season, and win the Premier League Golden Boot, in what is left of his career?